Home Tags Posts tagged with "Puerto Escondido"
A bridge on the Oaxaca coast highway. 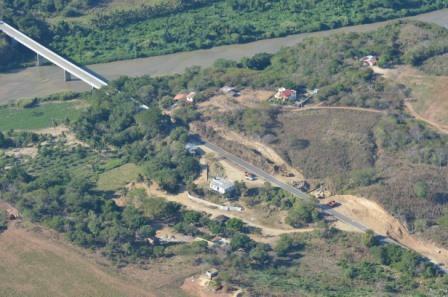 Two ambitious highway projects in the state of Oaxaca are only a few months behind schedule, officials said after their progress was reviewed in a meeting between transport officials, the contractor ICA and Gov. Gabino Cué. 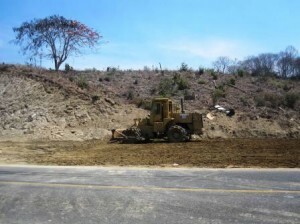 The new 104-kilometer freeway that will link Oaxaca City to the coast is expected to be in operation by the end of this year, providing a better connection between the state capital and the tourist destinations of Huatulco and Puerto Escondido. Travel time from Oaxaca city to the latter is expected to be reduced from six or seven hours to just over two. The 5.25-billion-peso (US $352 million) project, which will offer a much faster alternative to two existing routes that wind through the southern Sierra, will consist of two lanes with wide shoulders for a total width of 12 meters. It has required the construction of 12 bridges and viaducts, four tunnels and nine interchanges. Due to be completed in the first half of next year is the Oaxaca-Isthmus highway, a 9-billion-peso project that will reduce travel between the capital and the Isthmus of Tehuantepec from four and a half hours to two. It includes the construction of 54 bridges, 11 viaducts, five interchanges and three tunnels. Gov. Cué said both highways will boost industrial development, tourism, fishing and agriculture. They also represent a major Mexican engineering feat considering the difficult topography of the state, he said. Another feat has been overcoming the technical, legal and financial difficulties that plagued the new highways for nearly 10 years before construction began in earnest. If you’re looking for a prize real estate investment in a tropical paradise, it’s hard to beat Puerto Escondido. An hour from Huatulco, this one-of-a-kind destination was the first beach resort established on the coastal highway. It is the best of the best, and continues to be a must-see, drawing in an ever-growing number of full- and part-time expats from all over the world. So why does everyone flock to Puerto Escondido? To live in affordable oceanfront homes, beach front condos, and apartments that are close to town but far enough away to provide that much-needed peace and quiet. Living in Puerto Escondido is a great long-term value. Whether you’re a snow bird or a retiree, you’ll find budget-friendly options in the Rancho Neptuno, Los Naranjos and Costa Cumana developments. These properties foster a warm, welcoming national and international community. The homes have been constructed by notable companies, thus insuring a solid real estate investment. If you’re looking for something unique in Puerto Escondido real estate, we have properties located next to small lagoons and the famous turtle beach. There are also gated communities—complete with million dollar homes and built-in security provisions. In fact, there are some just a few minutes away from the nicest swimming and snorkeling beaches in town. If you’re looking to build your dream home in the midst of a tropical paradise, oceanfront lots are still available. In fact, you will find some perched on cliffs, and you know what you’ll get with this—breathtaking ocean views! Just imagine how divine it would be to immerse yourself in a steaming Jacuzzi and infinity pool while overlooking the beauty of nature! But beautiful accommodations are not the only Puerto Escondido draw. Check out the amenities. 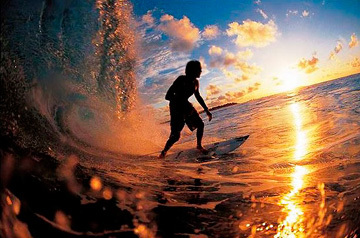 Surfing – Located along the southern coast of Mexico, Puerto Escondido is renowned for its world-class surfing. Surfers from all over the world make a beeline for Playa Zicatella’s mammoth swells along the Mexican pipeline surf. In fact, Puerto Escondido is often on the Top 10 list of surfing tournament destinations in the world. Along with this comes a relaxed California hippie vibe, complete with beachfront bars, rooftop decks, live entertainment, locally grown produce and dreadlocked beachgoers. Beach Activities – Its string of beaches is very popular among national and international families. Water babies will especially love swimming in the protected coves of Puerto Angelito and La Manzanilla. Sunbathers find Bahía Principal and Bahía Puerto Angelito ideal for catching the rays, eating in cozy restaurants and staying in funky hotels. Day Trips – The local sites also hold great day-trip opportunities for adventure seekers. Check out the nature preserve and local coffee plantation tours, on-the-beach horse rides or tour boats ready to take you and your loved ones out to sea for the day. Shopping – El Adoquín—a four-block strip and part of Avenida Pérez Gasga—is the main palm tree-lined thoroughfare for pedestrians. It’s lined with sidewalk cafes and fine, international restaurants. Street vendors peddle everything from sandals and suntan creams to beachwear and jewelry. Shoppers will dig El Adoquín’s fancy boutiques, art galleries and lively nightclubs. Bonus Real Estate Investment Area: Northwest of El Adoquín are the Bacocho, Carrizalillo and La Rinconada neighborhoods. These up-and-coming areas of Puerto Escondido are nestled high on the cliffs and offer amazing views of the ocean. Dining – If you’re a foodie, you’re going to love the traditional Mexican fishing village of Playa Principal. Here you’ll find freshly catches of the day such as sailfish, tuna and red snapper. Smother the filets with homemade garlic and butter and pop them on the grill. Grab a few cervazas and let the good times roll! But if you’re into fine dining, check out Boulevard Benito Juárez. It hosts some of the town's best establishments. 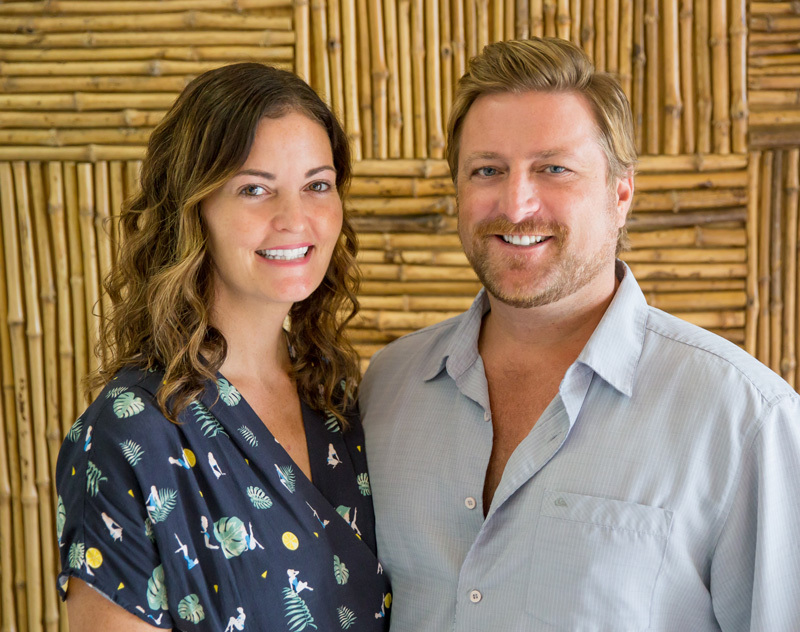 Come see why Puerto Escondido real estate is one of the best investments you can make. Contact us today. The point or La Punta is located in the southernmost section of Playa Zicatela at the southern end of the beach. The rocky outcrop, also referred to as The Point features a lighthouse and a number of homes spread across a wide area. Favored by surfers from all over the world, this great beach offers a bohemian feel and laid back atmosphere. There are a few palapa restaurants and small casitas where surfers stay to be close to the waves. La Punta is a great place to take in a surf lesson or relax beachside and take in the ocean breezes, warm sand and sunshine. Road crews continue along the Barranca Larga-Ventanilla stretch of highway. 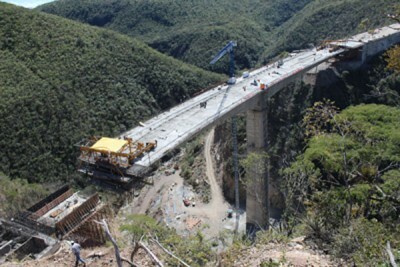 Empresas ICA, the largest engineering, construction, procurement and infrastructure company in Mexico, announced in March that it acquired the concession for the Barranca Larga-Ventanilla tollroad in the state of Oaxaca. Total investment in the project will be approximately $5,352 million pesos. The contract is expected to be completed in 24 months. 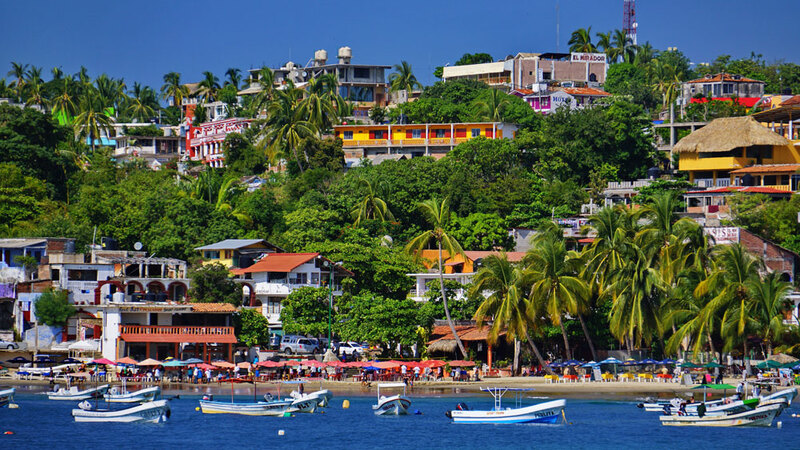 Providing a high-speed communication link between the Pacific coast resorts of Huatulco, Puerto Escondido and Oaxaca City, the highway will support additional development of the tourist zones and help the economic integration of the inland communities along the route. Machines & crew were hard at work on the highway – April 25, 2012. Work continues on Highway 200 from Huatulco to Puerto Escondido and includes straightening and twinning the highway, as well as building 30 connecting roads, several bypasses, 78 bridges, 42 underpasses and three tunnels. 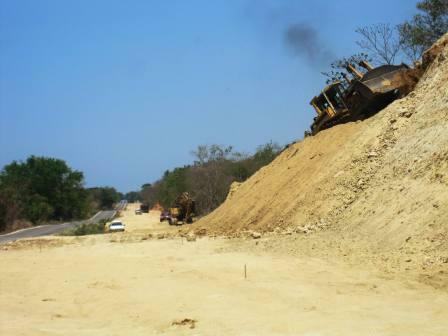 Work is being completed at an aggressive pace, East from Puerto Escondido, West from Huatulco and South from Oaxaca City. 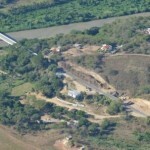 We are very fortunate as the highway passes right by Viewpoint at Puerto Angel and Oasis Pacifico. This highway will dramatically reduce travel time, boost commerce and tourism, turning the Huatulco-Puerto Escondido area into a international tourist attraction. All along the Oaxaca coast, from Puerto Escondido to Puerto Angel, many families take time off to enjoy the beautiful beaches and celebrate the Holy Week of Easter. 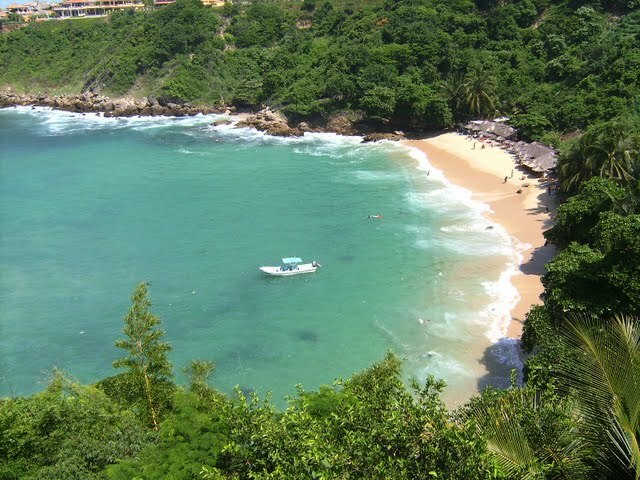 Families travel far distances to visit Puerto Angel to Puerto Escondido, spending time with family, attending church and enjoying the beautiful beaches and attractions. Holy Week or “Semana Santa” is from Palm Sunday to Easter Saturday. During this time woven crosses are made to protect homes and belongings are sold in the markets, plazas and in front of churches. On Holy Thursday visits are made to “the seven houses” or churches, with altars set up for “La Dolorosa”, (Our Lady of Sorrows) with “chía” seeds sprouting green out of clay animals (symbolizing the Resurrection) and flowers and leaves of the maguey plant. On Good Friday the Passion and Crucifixion are acted out with holy images or live actors. On Easter Sunday the Resurrection is celebrated with masses at midnight Saturday and at six on Sunday morning. At ten on Sunday the church bells ring to celebrate the “Misa de Gloria”. In villages such as Zimatlán and Huixtepec the churches are filled with hundreds of vases of flowers and life-sized statues of the risen Christ. It’s really an amazing time to be here. To watch the Mexicans re-enact the Passion Play of Christ, to see the streets are filled with people celebrating, attending church and enjoying time with their families on the beach and in the local restaurants. 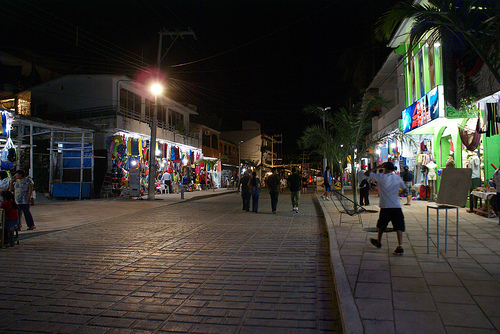 At night you can check out the many vendors in Puerto Angel, Zipolite, San Agustinillo and Mazunte. There is tons of entertainment and music going on in the streets. And just another reason to love Mexico and it’s amazing culture!